Below are the sponsors for the 2019 Southwest Home & Garden Show. The only specialist interiors magazine for the county, Devon Home is a celebration of homes, gardens and interiors, with expert information from local designers, architects and craftspeople. Together with our Devon-based writers, we show you how to improve and love your living space. Devon Home is published by We Make Magazines, a family-owned Devon company. Taste Buds is Devon’s marketing-leading food and drink magazine – everything you need to know about what to eat, where to try and what to buy. Produced using Devon-based writers and chefs (we confess our photographer is from over the border – but forgive us, he is one of the best in the business) It is printed on environmentally friendly paper by a local printer. … just like the food we write about, Taste Buds is lovingly made using the finest local ingredients! Devonshire magazine’s eclectic mix of commissioned features, illustrated with rich photography, makes it’s a unique and highly reader-focused publication. Devonshire is a mass circulation, free-to-the-public magazine with over 900 outlets across the county, and a growing subscription list of avid readers across the UK. A magazine that’s finding favour with many new readers, what’s unusual within Devonshire is that you can actually read genuinely rich articles on history, countryside and wildlife – something very much lacking in the other Devon based ‘lifestyle’ magazines, where company promotional features regularly masquerade as editorial alongside a multitude of adverts. For many of you, improving your the home is the ultimate pleasure, and why shouldn’t it be, it’s where your relax, dine, entertain, bring up your family, not forgetting work (for many) – surely ‘home’ is the most important place in your life. 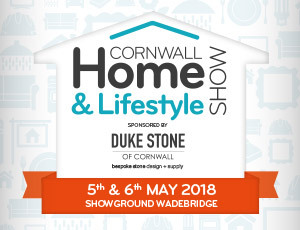 The Home Design Yearbook brings together advice, help, tips and some of Devon’s best professionals engaged in Devon’s home-sector industry in an attractive reference publication that covers many of the main disciplines. An antidote to the internet, this premium quality publication is a great aid to the home owner.